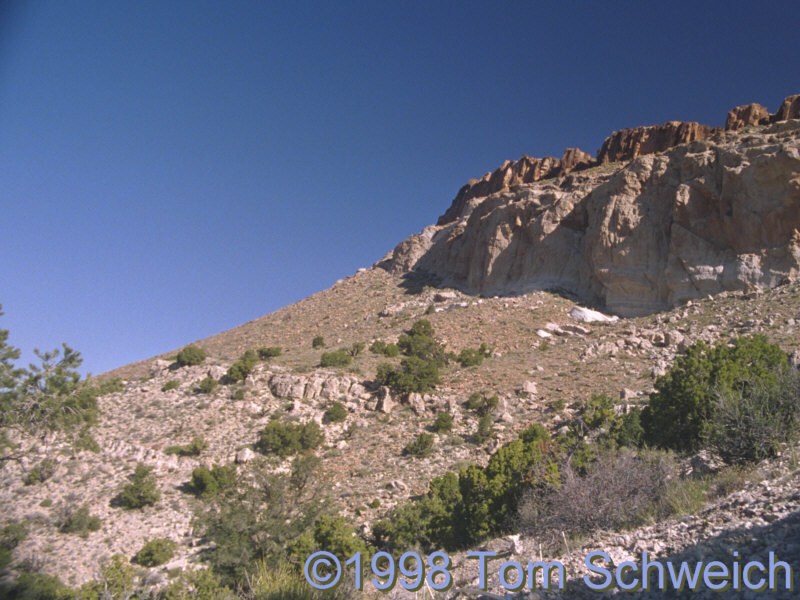 Outcrop of Winkler Formation on the south side of Pinto Mountain is seen in the lower left portion of the photograph. Hole-in-the-Wall tuff is above it. Cedar Canyon Road - Mojave National Preserve: Winkler Formation. Eastern Mojave Geology -- A Botanist's View: Winkler Formation.